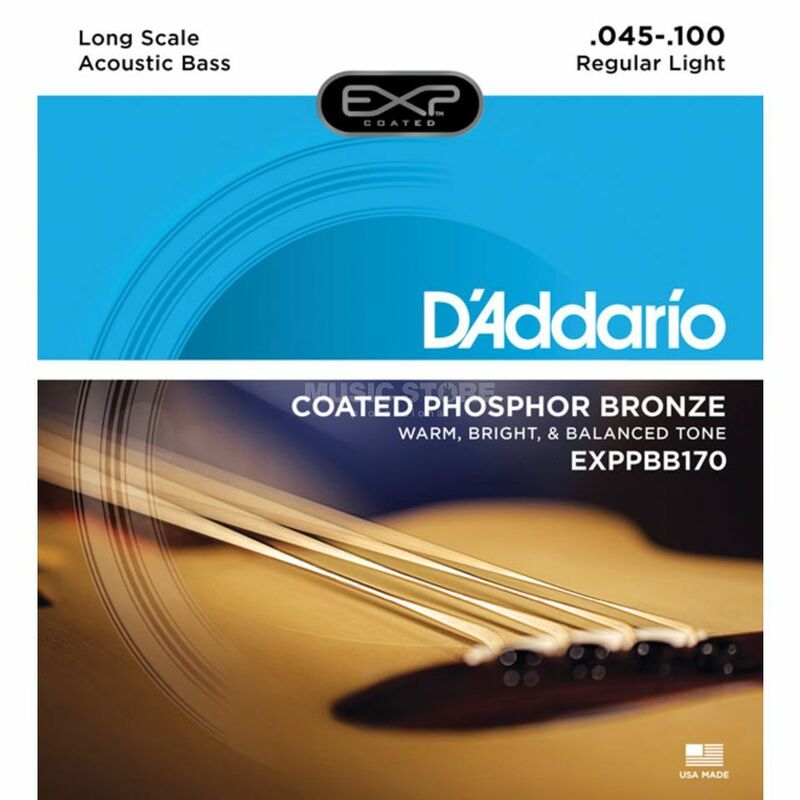 The D'Addario EXPPBB170 Acoustic Round Wound Bass Strings Long Scale 45-100 is a pack of strings for a four-string acoustic bass guitar. The EXPPBB170 set is a coated set of EXP strings that provide a rich, deep and projecting tone with up to four times more string life. The EXP Coated Technology offers high quality wrap wire materials that are precision drawn and micro-coated on advanced proprietary machinery.